Here’s one of my favorite recipes for a chilly winter’s evening. It’s great on a night where you don’t want to have to think about dinner and all you want to do is come home to dinner with the family. This is a simple recipe to make for as many people you’ll be feeding… from two on up to as many as you can fit in your kitchen. Feel free to play with the ingredients as well – it’s the idea of the recipe rather than the specifics. Use The Force and create your own version of this delicious meal… then sit back and enjoy the compliments! Cut beef into large chunks, then sprinkle with ½ t salt and ¼ t pepper. Heat oil in large stock pot over medium high heat and cook until browned, about 6 minutes. Remove beef. Add onions, mushrooms and garlic to pot. Cook, stirring occasionally until the vegetables begin to brown and soften, about 6-7 minutes. Add tomatoes, basil and wine along with remaining salt and pepper. Cook until mixture begins to thicken, about 5-6 minutes. Replace the beef in the stock pot and place in oven, at 250 degrees. Cook for 4-5 hours. Remove beef once fork-tender and keep warm. Cook all remaining ingredients on stove-top until thickened, 10-15 minutes, stirring occasionally. Serve beef and sauce with mashed potatoes and a crisp, green salad. 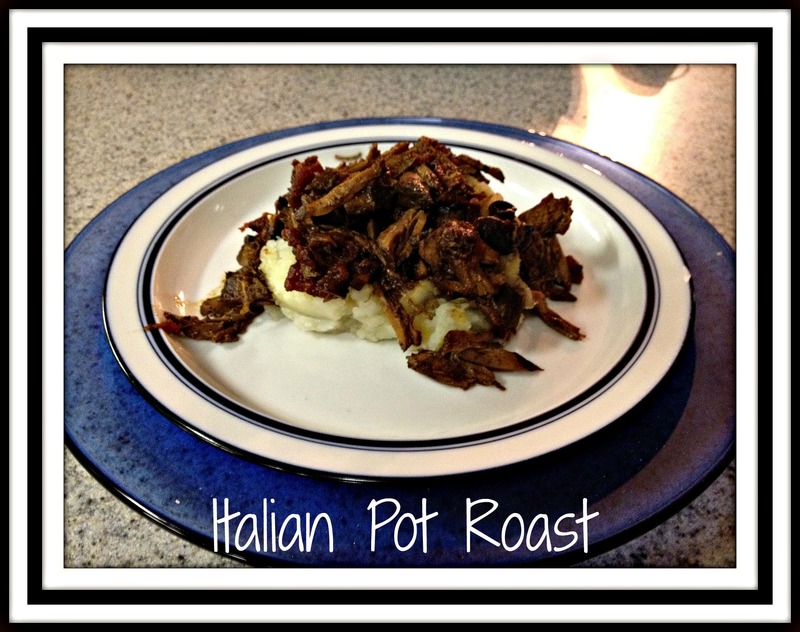 This entry was posted in Cooking, Recipe, Wine and tagged crock-pot recipe, easy recipe, James River Cellars Cabernet Franc, James River Cellars Meritage, James River Cellars Merlot, pot roast. Looks juicy and filling, just the way beef should be! It really is…. Especially when I can get the London Broil on a huge sale and not spend an arm and a leg to feed my family. Yum! True, meat can be fairly expensive… But the taste is worth the price!